Living off-grid is a very interesting lifestyle that catches a lot of attention nowadays. It is a sustainable way of life that has a huge positive impact on our environment. But it also presents a fair share of challenges. Power is one of the main concerns that you have to address when deciding to live off-grid. Since you won’t have any support from an electrical grid, you have to rely on stand-alone power systems for electricity. 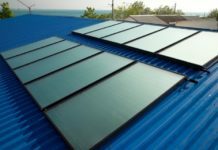 One of the most popular options that you have is a solar panel system. Some off-grid experts recommend using a forklift battery for solar panel power systems. 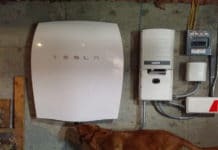 In this article, i am going to talk about the best battery types that you can use on an off-grid power system or solar system. It will also provide you information that shows why a lot of experts recommend the use of industrial batteries. When it comes choosing the battery that you will use for an off-grid or renewable power system there several aspects that you have to consider. If you want a stable power grid that can handle a lot of electrical loads and last for years. You have to use a battery that can keep up or better yet exceed your demands. Power cells that can store massive amounts of energy and has the toughness and durability withstand the test of time. Just to give you an idea, the idea is to look for a lead-acid battery that has deep cycle capabilities, extremely durable and as much as possible a flooded type of battery. Like the three types of batteries listed below. ● Golf Cart Batteries – These power cells are deep cycle batteries and considered to be one of the most manufactured types of batteries. Golf cart batteries are also the most commonly used battery for various renewable energy power systems worldwide. These batteries are also available everywhere, and they are easy to find, making them very convenient for a user to replace. Although they can only offer a maximum of six years life expectancy, golf cart batteries are cheap and very reliable. ● The L16 Power Cells – An L16 power cell is a type of battery specially designed to offer more power storage. Compared to golf cart batteries, they have higher amp rating and them last longer that can reach up to eight years. However, these batteries are more pricey, and most of their 6V units are a lot heavier compared to their golf cart battery counterparts. ● Forklift or Industrial Batteries – Finally, the most recommended by off-grid experts, industrial batteries or forklift batteries. This is a type of battery features a hefty and bulky build that makes it heavy. However, a single forklift battery can be equivalent to a string of multiple golf cart batteries when it comes to electrical storage capacity. These batteries also offer extreme toughness and exceptional durability that can offer a service life up to two decades. However, a new battery unit of this kind is really expensive, but there are a lot of ways of getting an old one for a cheap price. A while ago, it was mentioned that forklift batteries are the most recommended type of battery for off-grid systems. Although it is also mentioned that industrial batteries are really expensive, there are plenty of ways to get one for a very low price. With the massive energy storage capacity and exceptional durability that this battery offers, it can be an excellent choice for off-grid applications. Although forklift or industrial batteries a very expensive, their ways to get an old or used ones for a lower price. One way of getting one for a lower price is by reaching out to industrial companies and offer them to dispose of the old batteries they have. You can also try to negotiate buying the old batteries for a very low price. If you are convinced or lucky enough and they agree, you can recondition the battery and use it for your power grid. With its exceptional toughness and durability that allows forklift batteries to survive for two decades, it is a practical choice that is beneficial in the long run. It also has a massive amp rating that enables it to handle huge amounts of electrical loads which is an ideal quality to support a stand-alone power grid. 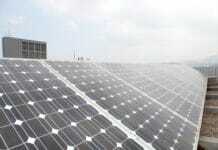 To consider a forklift battery for a solar panel power system, can be a practical and smart decision. If you have the means to get old or used one for a lower price and manage to give it a new life by reconditioning it. You will have massive power storage that will surely last for years. Excellent power storage that will provide you with plenty of benefits.